Schola Campesina works directly with small-scale food producers’ organisations identifying themselves with the food sovereignty movement and with the 2015 Nyéléni Declaration. Our starting point is the local level, so that our position is deeply grounded and thereby enhanced, in order to influence change on the global level. Our work is constantly in a bi-directional sense: we follow global processes in order to influence them and, at the same time, we apply global outputs at the local level, otherwise, we will not succeed one way or the other. Schola Campesina is based on the existing “Agroecology schools” of LVC specifically regarding the horizontal pedagogy “Campesino a campesino” and the principle of “Dialogo de Saberes”. The training and research themes are proposed by a pedagogical committee made up of partners organisations that share the basic principles of Schola Campesina. Schola Campesina pay specific attention to languages as instruments of popular culture. It aims to go beyond the “colonial” languages: movements should not limit themselves to these languages as an instrument of communication between different ‘ways of knowing’. Being held near Rome area Schola Campesina has the particularity to benefit from peasant and activists knowledge at world level. Rome is indeed the headquarter of all food and agriculture related UN institutions where we take part to defend our struggles. An agroecology school must be rooted in a territory and a community of knowledge; the bio-district represents these territorial roots. Beyond the training objective, the School is also a centre for Participatory Action Research. It seeks to mobilize knowledge from peasants and their organizations, from academicians and their institutions, from activists and their organisations through a Dialogo de saberes. 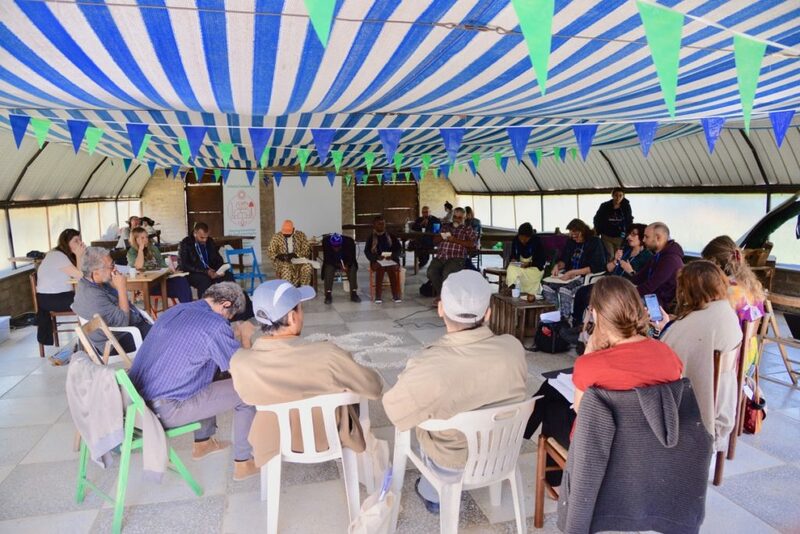 Schola Campesina seeks to stimulate a co-production of knowledge thanks to a constructive dialogue between Agroecology and Food sovereignty allies. 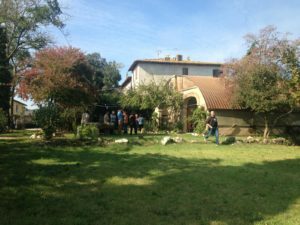 Schola Campesina is facilitating a European workshop on global governance mechanisms of food and agriculture directed to Community Supported Agriculture groups in the frame of an Erasmus+ project on advocacy capacities coordinated by Urgenci (10-14 Oct., Italy). Cities around the world are starting to pay attention on food issues from different entry point: obesity issues, contaminations, food insecurity, water scarcity, poverty, etc. 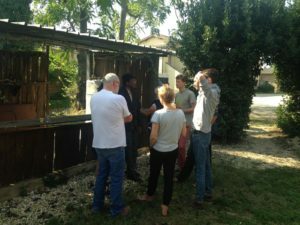 The Milan Urban Food Policy Pact (2015) provides a network to encourage the dissemination of best practices amongst the cities local governments. A part from interesting initiative in Latin America, the challenges faced by rural food producers -particularly the lack of markets- are not often considered as a priority for the cities local governments. This is why -in this context of increasing visibility of food issues in urban agendas- CSA’s groups are crucial, not only in their actions of providing fair markets; but also in advocating for farmers-orientated policies. 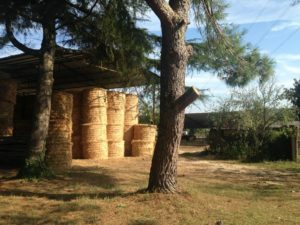 La primera formación de la Schola Campesina tuvo lugar in sept-oct. 2017 en una finca asociada perteneciente al distrito ecológico de la provincia de Viterbo y en Roma (Italia). Reunió a 17 integrantes de organizaciones campesinas (miembros de La Vía Campesina de todo el mundo), que intercambiaron experiencias y debatieron cuestiones relacionadas, entre otras cosas, con la gobernanza mundial en alimentación y agricultura, el saber campesino, la autonomía campesina, las prácticas agroecológicas, las luchas mundiales campesinas, las políticas alimentarias locales y mundiales y el empoderamiento de la mujer.